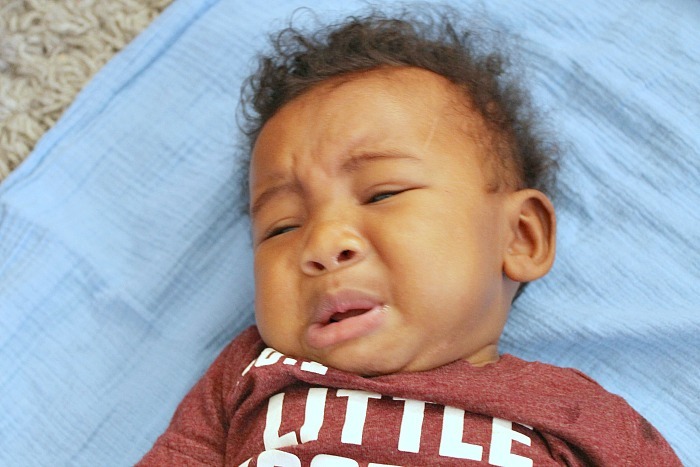 Find out why your baby is crying in this sponsored post. Babies cry. That’s a given. 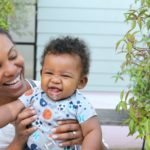 As a new mom again after taking an eight-year break, I forgot just how much they cry! It makes sense, though. It’s the only way they have to communicate. Otherwise, how would we know that they’re sleepy or hungry or need to be snuggled? There are some cases when a baby cries because they’re in a fussy mood, but usually it’s because they’re in need. 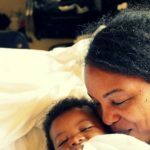 I was surprised to remember all of the ways that my baby needed me. He can’t do anything for himself. Figuring out why he’s crying and working to make him comfortable is the most important job I have right now. I don’t mind doing whatever it takes, because that’s what I’d do for myself. For example, if I was in the car and the sun was in my eyes, I’d pull down the visor or put on some sunglasses. Since my little guy can’t do that for himself, I’m here to make sure he has what he needs. Most of the time, when my son is crying, it’s for a problem that can be fixed easily. 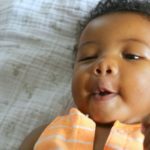 Here are a few reasons why your baby might be crying and solutions to help them feel better. 1. The sun is in their eyes. Put a sunscreen over the window. If you live in a place with a lot of sun, get him a sun hat. 2. The straps on the car seat are uncomfortable. 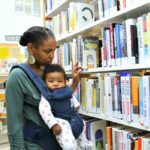 While you can’t loosen a properly fitting harness (you should not be able to pinch any fabric when you make a vertical pinch in the strap webbing at your baby’s shoulders) make sure the straps are not digging into the sides of their neck or their thighs. 3. They are sitting on something in their car seat. Check to make sure there isn’t a teething ring or other toy under their little booty. 4. Sitting backwards makes them feel sick. Try not to drive as fast. Take shorter trips in the car. If you have a passenger in the car and the baby won’t stop crying, have them sit in the back with your baby. 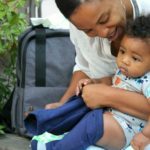 Try putting them in a carrier facing you, or in a stroller and covering the top with a blanket, leaving holes for airflow so your baby won’t get too hot. Take them to a quiet place and help them calm down. 8. They’re tired of being touched by strangers. Put them in a carrier so no one will touch them. It might be time to go home and put them to sleep. Get down on the floor and do something with them. Try singing a song or reading a book. 12. They want to play. 13. The temperature in the house is too hot or cold. Take off their clothes if it’s too hot. Put on a long sleeve bodysuit if it’s too cold. 14. The outfit they’re wearing is uncomfortable. Dress them in clothes that are soft, comfortable, and that they can move in. Try massaging their stomach, or pedaling their legs in the air like they’re on a bike. 16. They have a diaper rash. My son has very sensitive skin and I can tell very quickly whether a product is going to work for him or irritate him just by the smell. 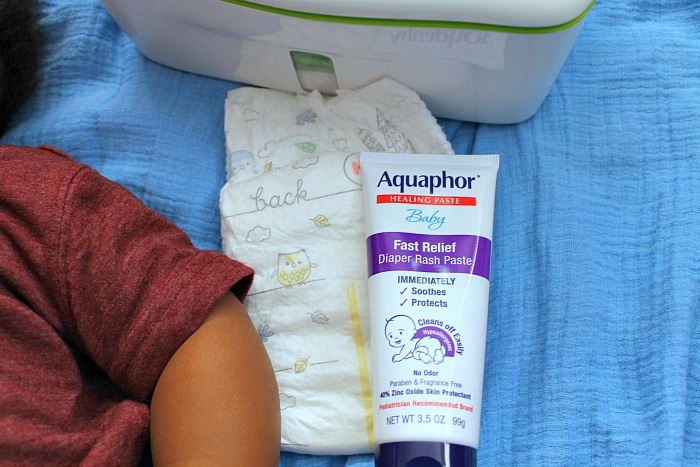 Aquaphor Baby Fast Relief Diaper Rash Paste was perfect for his tender skin. I used it at the first sign of discomfort and diaper rash, and by the next diaper change, the redness had gone way down! A big bonus for me is that Aquaphor Baby was easy to wipe off of my hands after I applied it. It worked quickly, wasn’t sticky and thick like some other diaper rash creams that I’ve used and contains no parabens, talc, or fragrances. 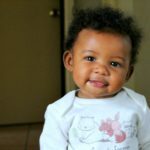 Make the right choice when it comes to your baby! Loved by moms, recommended by Pediatricians. 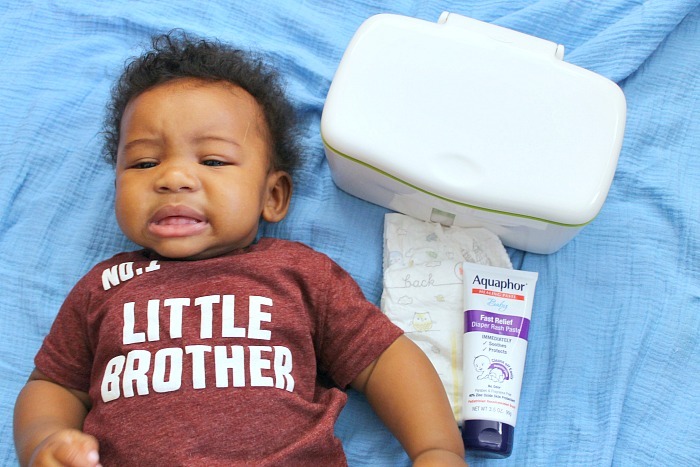 All-purpose Aquaphor Baby Healing Ointment provides protection from diaper and drool rash, as well as relief for dry, chapped or irritated skin. Aquaphor Baby has diaper rash covered; for moderate diaper rashes use 3 in 1 Diaper Rash Cream, and for more severe diaper rash try NEW Fast Relief Diaper Rash Paste. 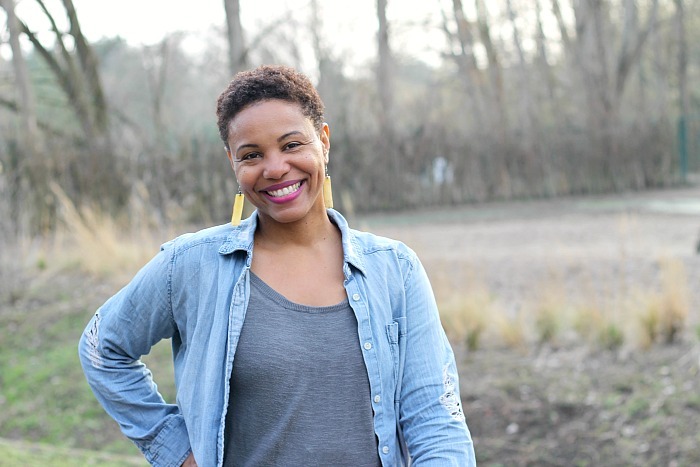 All of our products are hypoallergenic and free of parabens, fragrances, talc and dyes. Try our products now and visit the Aquaphor Baby Website for coupons and more information. 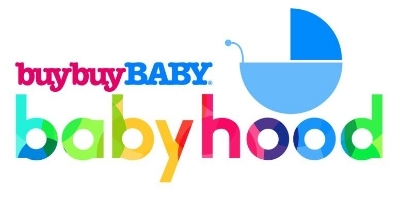 This post is sponsored by Aquaphor in partnership with BabyCenter. Thank you for sharing this great piece. My nephew has drool rashes on his mouth, neck, and chest. The rashes have started to blister, developed pus. He rubs off any ointment or lotion we apply. what shall we do?